Vihayana Creative Communication invites you to take parts in improving the quality of business we have been building for years. 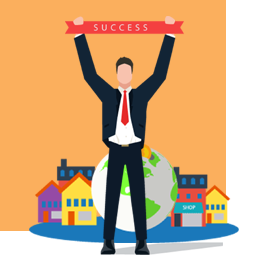 Take the opportunity to get routine passive income without any hassle by recommending Vihayana’s services to your family, friends, colleagues, and companies. If any of your recommendation results in a sealed deal, you will get your share of the deal immediately to your bank account. If the client(s) you recommended end up making repeat order from us, you will also get repeat commission for each of the order we take from said client. Contact us at affiliate@vihayana.com for more information. Do you want to get more revenue for your business by branching out to other niches? Is one of your clients in desperate need for translation services? Is your company looking for a partner in creating creative media? The answer is clear: be partners with Vihayana. We have supported a great number of graphic design and animation agencies in providing translation and editing services for their clients. We also handle editing, illustration, design and placements for children storybooks, and cultural magazine for Wahana Visi Indonesia (WVI) in their association with Australian Aid. Send us an email to partnership@vihayana.com to get more information.